These stylish desktop clock / frames feature a trifold design with three panes, with a clock in the centre and two photo frames on either side. The frames hold photographs in portrait orientation. 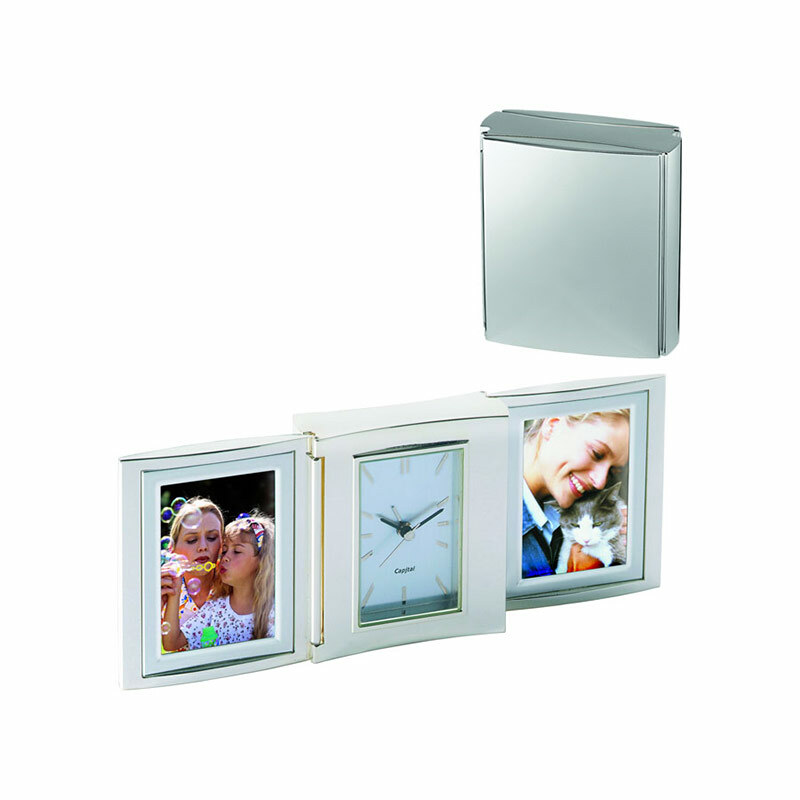 Ideal for travel, these clock / frames fold neatly and are supplied complete with an attractive lined presentation case. They can be engraved on the lid of the folded frames, perfect for branding with a company logo or business name, or details of an event or achievement, and they are offered here with free text and logo engraving.